I think most of my readers know by now that I am Canadian. Canadian and proud! Proud of the friendly people, the impressive, vast, open landscapes, free healthcare, colourful money and of course hockey. Even though we are so close to "the States", Canada has a culture all of its own. It is hard to define, but it falls in the category of I-know-it-when-I-see-it. My American boyfriend happily points these moments out when he finds them, and I swell with red and white maple leafed pride. I have blogged about Montreal bagels, poutine and maple flavored goodies, and thought I would share a few more treats that are found only in Canada. That's right. Only available north of the border. 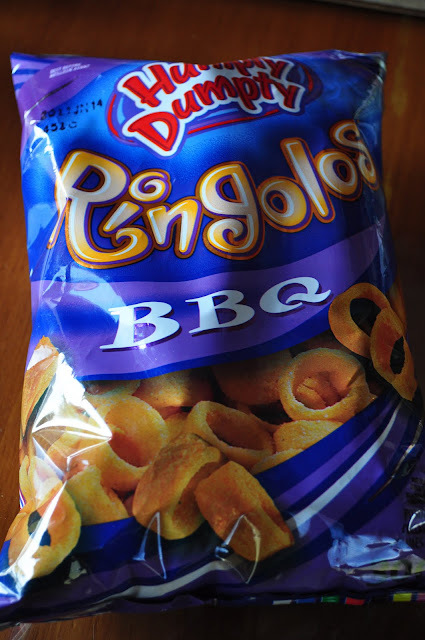 Let me introduce you to ringolos, aka the childhood snack that I consumed every day on the bus ride home. Nutritious? No. Delicous? Yes. Imagine potato chips ground up, reformed into rings, baked and then sprinkled with BBQ flavor. I'm not sure if that is actually how they make them, but I'm satisfied with the description. Much like any crunchy snack, these are addictive. 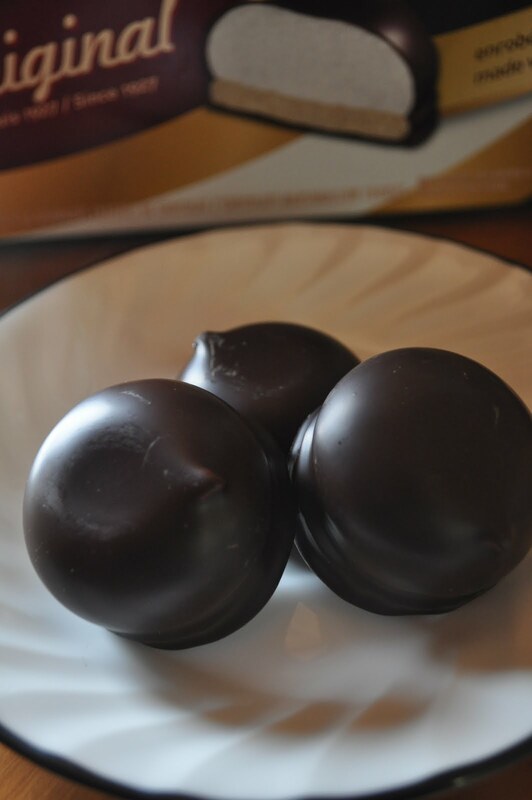 Good luck eating just one. 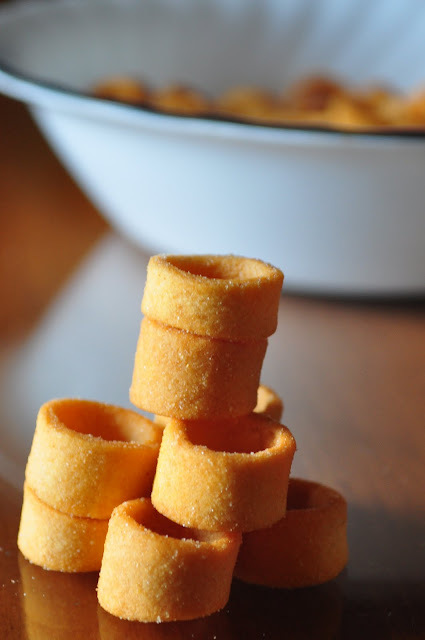 When we were kids, we used to put them on our fingers. Ummm, did I say when were kids? I also meant now. For those of you with a sweet tooth, do I ever have a cookie for you. 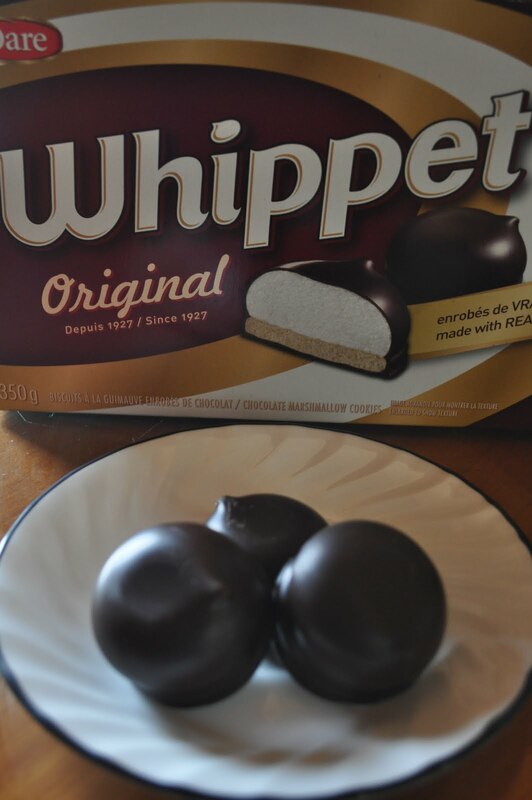 Meet the Whippet. 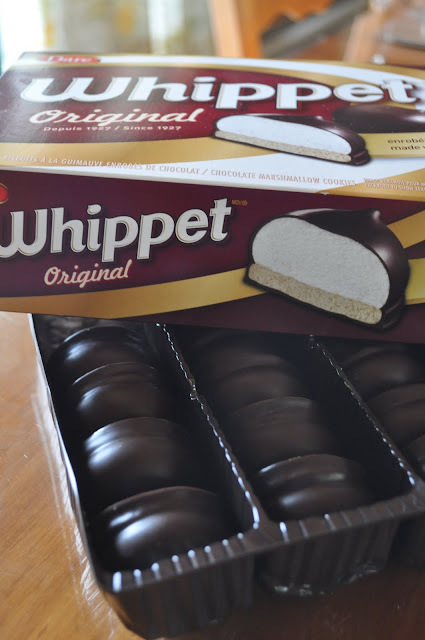 The Whippet, around since 1927 according to the box, is a cookie composed of a chocolate covered marshmallow sitting on top of a graham cracker. I bet there are many Americans out there thinking "Why didn't we think of that? We have the s'more after all. It was just one small step away"
After salty snacks and then sweet cookies, you are probably thirsty and would like a drink. 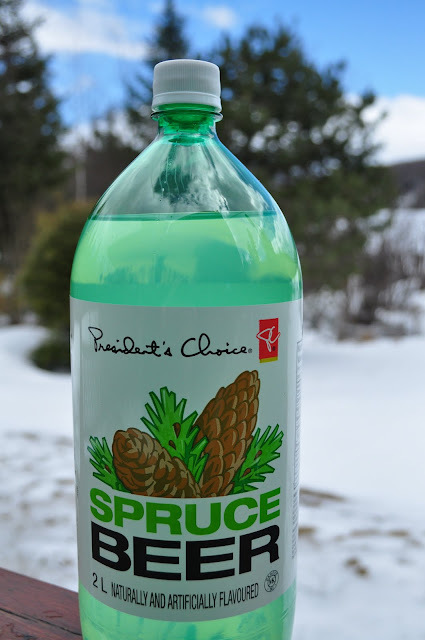 How about spruce beer? Despite the name, this is a non-alcoholic beer, similar to root beer. It is made from spruce needles, an evergreen found all over North America. I'll be honest, this isn't something I drank growing up but it was worth a try on my last visit home. The verdict per the American? "It tastes like melted snow dripping off pine needles". And there you have it. 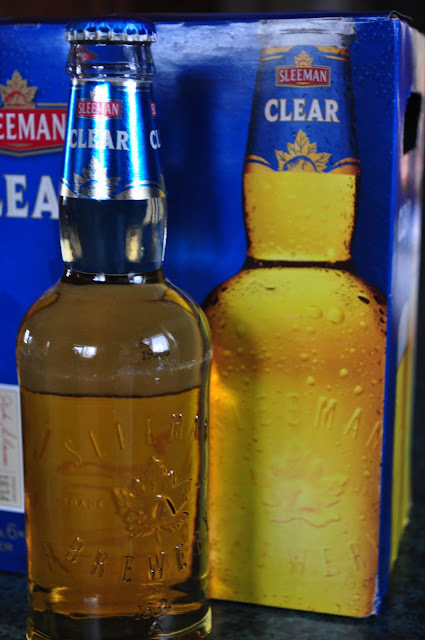 For something a little more adult, we also purchased Sleeman beer. 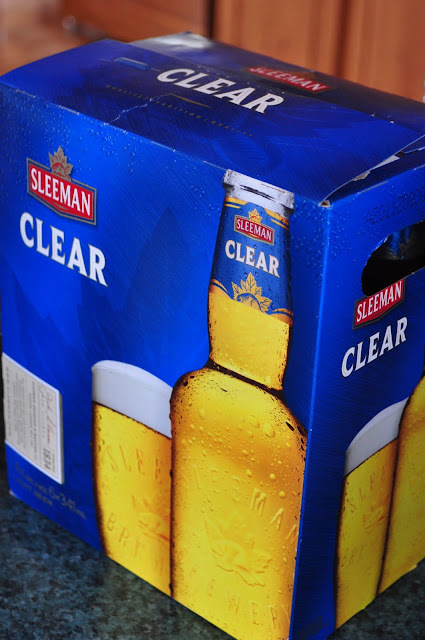 Just seeing the name brought back memories as it was the beer of my university days. Guelph, Ontario (which is about an hour west of Toronto) is the birthplace of Sleeman and they have been brewing beer since 1851. It is also the home of my alma mater, The University of Guelph. University, beer... I think we can all make the connection there. Hope you enjoyed a little taste of Canadian eats. There will be plenty more to come over the years. Until then, I will be oot and aboot living the food life. I introduced my Haight Ashbury friends to your blog. They are realy "Diggin It". Keep it up, I look forward to every new post.